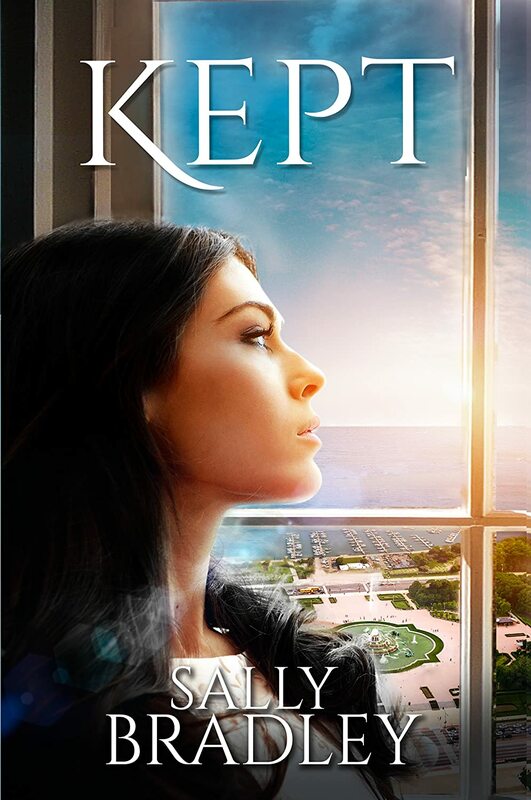 Romance Interview with Dani Pettrey and Giveaway! 1. In your opinion, what is one thing that a romance novel should have in order to be successful? A satisfying, happy ending. It’s the ending that makes or breaks a novel. It’s what lingers with you long after you close the book. In romance, it’s essential to have an ending that warms your heart. 2. When it comes to writing romance in novels, is there any kind of formula that you follow? Or does it just come together organically? I’m not a plotter, so for me the entire story comes together organically. That said, it usually takes me numerous draft to get the feel right. 3. Of all the novels that you have written, which one would you say was your most romantic and why? I’d have to say Shattered. I loved watching Piper and Landon evolve from friends to being deeply in love. 4. Do you have a favorite romantic trope? 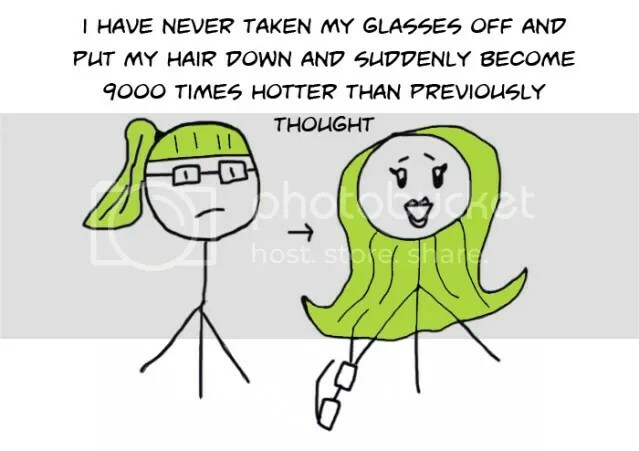 A least favorite trope? Fun question. I’m rather partial to Beauty & the Beast. I love seeing a wounded hero find love and restoration. My least favorite…amnesia. It can be done really well, but it’s been used a lot. 5. What are some authors/books that you read when you just want to enjoy a good romance novel? 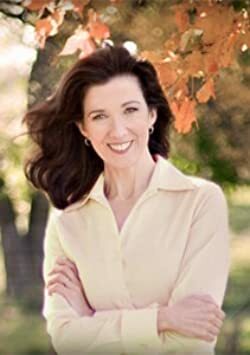 Becky Wade writes classic, sophisticated, and heartwarming romances. Karen Witemeyer writes hilarious, moving and always satisfying romances. Those are my top two go-to authors for romance. I highly recommend them both. 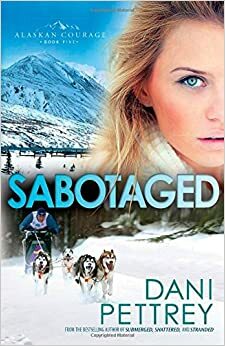 Dani Pettrey is a wife, mom, grandma, and the acclaimed author of the Alaskan Courage romantic suspense series, which includes her bestselling novels Submerged, Shattered, Stranded, and Silenced, and upcoming release, Sabotaged. Her books have been honored with the Daphne du Maurier award, two HOLT Medallions, a Christy Award nomination, two National Readers’ Choice Awards, the Gail Wilson Award of Excellence, and Christian Retailing’s Best Award, among others. If this book has captured your fancy (and I hope it does! ), there’s an opportunity for you to win your own copy! *Note you must be a US or Canadian address. All you need to do is leave a comment in the comment section of one of the interviews this month (February) with your email address. The giveaway ends on March 13! The winner will be randomly selected. If you win, you have 48 hours to respond to the notification before I will choose another winner. Happy Reading! Thanks for asking me aboard, Embassie! In your opinion, what is one thing that a romance novel should have in order to be successful? A romance novel must have great chemistry between the leading characters. In mainstream romance you will often find characters whose attraction is based entirely on lust or the weird phenomenon of “insta-love,” in which two people are attracted for no other reason than the author tells us how “right” they are for each other. Sometimes writers in inspirational fiction rely on simply making the characters good, honorable people and assume this is enough for chemistry. It’s not! I’m sure we all know scads of honorable people we aren’t attracted to, so figuring out how to convey that spark of chemistry is often what separates a great romance novel from an ordinary one. I spend a lot of time designing a character with a huge, howling flaw that the other romantic lead can address in a uniquely exhilarating way. In Against the Tide, my heroine had a chaotic, unstable childhood. As a result she grows up to need fanatic control over all aspects of her life. She believes herself to be well-adjusted and is justifiably proud of how she overcame her rough childhood, but it isn’t until the hero waltzes into her life that he shines a spotlight on her many quirks & compensations. The two of them spark off each other in an alternatingly funny, painful, and fulfilling ways. Then of course this must be fun to watch unfold, so I also lean heavily on terrific dialog that conveys wit, intelligence, and compatibility. I’ve got to tell you….creating that kind of chemistry is HARD, but I think it is the key to getting readers care about the characters. When it comes to writing romance in novels, is there any kind of formula that you follow? Or does it just come together organically? Well, all romance is formulaic in that you have two people meet, plow through a ton of conflict, then find a resolution. For me, I usually design the heroine first. My novels are set in late 19th century America, and always feature successful, intelligent women. Once I know who she is, I give her a huge flaw, weakness, or traumatic scar. Then I think up a hero who can somehow click with that issue. Perhaps he has unique experience with it, or is determined to expose her scar to salt, to challenge her, or make her stronger. 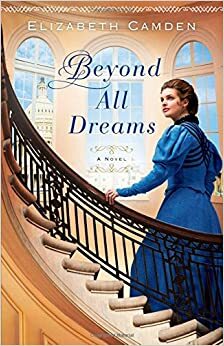 In Beyond All Dreams a congressman needs a shy, introverted heroine to step out into the public arena despite her aversion to publicity. In With Every Breath the hero needs the heroine’s skills in a medical trial that will expose her and her loved ones to a deadly communicable disease, even though he knows this is a lifelong fear of hers. Will Kate rise to the occasion? 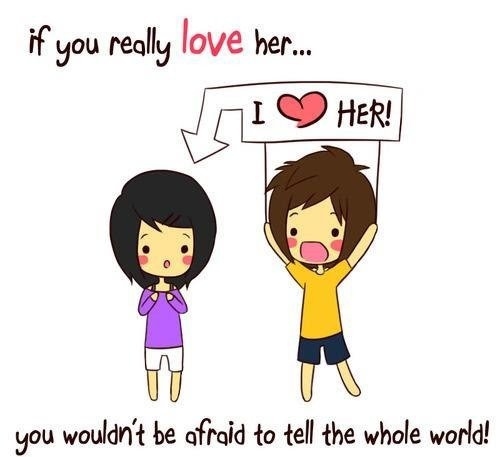 How can the hero prod, tease, love her into overcoming this fear? So using this character flaw (either in the hero or the heroine) is a technique I find that helps me come up with an interesting cast with lots of potential. Of all the novels that you have written, which one would you say was your most romantic and why? Some people consider “most romantic” to include walks on the beach, flowers, and music swelling in the background. I don’t! I consider it to be two people whose connection is so profound they are willing to walk through fire on behalf of the other person. So my “romantic” books tend to be filled with turbulence, heartache, all shot through with flashes of joy and inspiration. So using that criteria, I think my most romantic novel would be a toss-up between Against the Tide and With Every Breath. In both stories the leading characters had terrific chemistry….so great that they really ought to have fallen in love by the third chapter and have that be the end of the book, but then I wouldn’t have a story! So I burdened them with huge, apparently insurmountable roadblocks that caused them to delve into deeply emotional predicaments. Against the Tide was more of a rollicking adventure tale, while With Every Breath was much more true to life, and I really put Kate and Trevor through the wringer before I have them earn their happy ending. In both cases I consider the heartache, sacrifices, and personal growth the heroines undergo on behalf of fighting for their relationship to be deeply romantic. I confess to really aching for those characters, but I think that makes their happily-ever-after all the more sweet. I’ve always been a big fan or reunited lovers. My very first novel, The Lady of Bolton Hill, was about two people who had a childhood crush on each other, but don’t act on it until they encounter each other ten years later. I haven’t done another reunited lovers yet, but am hoping to dust it off for an upcoming novel someday. My least favorite trope would be hero and heroine who take an instant dislike to each other over something trivial, or whose conflict is based on a silly misunderstanding that could be resolved with a simple, honest conversation. I need a little more heft if I’m going to take the story seriously. What are some authors/books that you read when you just want to enjoy a good romance novel? For Inspirational fiction, you can’t beat Francine Rivers, who always creates believable conflict and deeply emotional stories. I’m also a big fan of Becky Wade, Julie Klassen, Kristen Heitzmann and Lynn Austin. I confess that many of my favorite romance writers come from mainstream romance. They would be Sherry Thomas and Ciji Ware for historicals. For contemporaries I love Susan Elizabeth Philips, Kristan Higgins and Lisa Kleypas. Welcome to the Blog Tour for Jane by Michelle N. Onuorah! Jane Daugherty has survived what can only be described as the childhood from hell. After years of mental, physical, and sexual abuse, she has become a fiercely independent young woman – closed off from human connection. Unable to trust people or in their ability to be kind, she has vowed to build a new life for herself so that she never has to rely on others again. At 24-years-old, she is fulfilling this vow, successfully working as the youngest tenure-track professor at the University of New York. Brilliant and remarkably accomplished, Jane’s life takes an unexpected turn when she is reunited with the childhood friend she protected in foster care. Alexa Masterson introduces Jane to the family that adopted her, a family that includes her older brother, Aiden Masterson. Instantly drawn to each other, Aiden and Jane embark on a relationship that will either destroy them both or shape them into the man and woman they were always meant to be. Can what started as lust transform into love? And what will bring about the transformation that they ultimately need? The characters. Honestly, this is character driven novel and not a plot driven novel and when you have novels like these, it becomes important that you like the main characters. I liked the main characters. Jane is damaged. But I love that while her past made her hesitant to engage, it did not cripple her. She was usually conscious of when she said something not so nice or overreacted and then she corrected herself. Aiden (who was not the Christian knight-more on this later) was another well developed character whose actions felt consistent with who he was…and Alexa was my favorite person (probably because she was the person who held everything together). The romance. Neither Aiden nor Jane are Christians at the start of this novel, and can I say that that is a rarity in Christian fiction? I simply can’t recall another novel like that (sometimes in the prologue the main characters aren’t saved, but by chapter 1 they are or at least one of them is). This means that the way they go about things romantically….is different. That said, I loved the connection between Aiden and Jane. Their romance was not rushed. They really got to know each other well. And when the novel ended, in spite of the baggage they would be bringing into a relationship, I had complete faith that their romance would last. Spiritually, there is a great message about the difference between love and lust and why marriage is different than just playing house (so to speak). I really liked the slow way they both came to know the Lord and realized a need for him. Also, when Jane and Aiden do get saved, I can happily report that the book doesn’t just end. I’m so glad the author gave them time to figure out who they were spiritually before they just got together. There is cursing. And I know what you’re thinking, your saying Em, I totally saw the disclaimer. Well I did too folks and so I went in with the expectation of coming across…maybe five swear words….no. There are steamy scenes. Let me just be honest, I like my Christian romance novels with a side of edginess. Whenever I read reviews that complain about the edginess of a novel, I mentally scoff at the reviewer and say bring it on. Ok…well…this book was not edgy, it was steamy, and this 27 year old christian woman was blushing, and there were moments where I hoped no one was reading over my shoulder. That said…it could have been worse. Overall, I really enjoyed this book. It was beyond what I thought, far exceeded my expectations and this won’t be the last novel that I read by the author. Review at The Book Junkie Reads. . .
Of all the romance novels you have read, which one would you say is your most romantic and why? 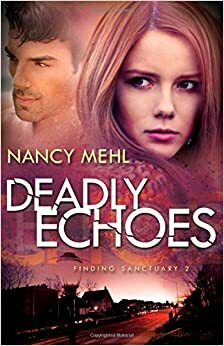 Enter to Win Deadly Echoes!